This Scrumptious Sausages is specially designed so dog can have the benefit of having a toy that is .. This yellow Grilled Pork Rib is a durable chew toy for dogs. Made of a combination of both strong an.. This yellow grilled T-Bone is a durable treat holding chew toy for dogs. The compressible textured c.. This Flexi Rope sausage is a durable chew toy for dogs. Made of a combination of both flexi rope and..
With their life like outlook, those chew bone will make any chew loving dog super happy. On top of t.. The Zinngers are the perfect toys for some playfull time in the backyard or in the park. With their .. 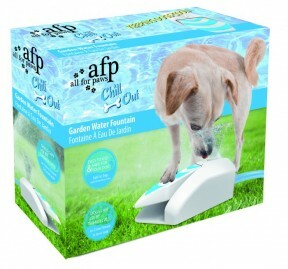 The garden fountain can be use anywhere by just plug it to any garden hose. Your dog will therefore ..